For the final day of Cooking from Book, I naturally had to select Sanjeev Kapoor. My first cooking show that I ever started watching was his program and I remember noting down recipes after recipe in every show. Amma and I would be watching it with such concentration that nobody could disturb us. We made sure we never missed an episode and we must have tried almost all of what we used to write down. With the show always been aired, I never came around buying his books. Earlier it used to be fictions tha I was buying, after a while, without even noticing it, it was changed by cookbooks. I have so many cookbooks that I stopped counting and stopped looking at them as well. I feel so remorse because I have never cooked anything from most of the books. So when everybody in the group were eager to have this theme always on the list, I was hoping I would atleast take it once and try something. So after I had to refer to his books and lucky for me, he had something for dessert and with Oats on top! Now don’t ask me how come I was making a sweet and not a dessert, even though I clarify it with my own explanation on what an Indian Sweet is and a dessert. When I mostly refer to dessert I exclude our typical Indian Sweet that are prepared during Festivals, but Payasams or other Indian sweets that are serve with meals, will surely fall under this Dessert Category. Most times I leave lot of things unsaid for it to be interpreted in different ways. I always find it so amazing how what you said and what you didn’t say, can be interpreted in many ways. I love doing this analysis Many years back I used to do this analysis on different things, now it’s all related to food and how people look at something in relation to food. So when I get a mail back from a member, asking if I meant this or that, I get excited to note how they think. Well depending on how close to what I want them to think, they reached I reply. Though it’s time consuming, I love spending time on this discussions with my BM friends. I like their enthusiasm and the energy they show when I throw a challenge at them and end up doing so well. Now back to this recipe, this calls for split moong dal and Oats. The recipe actually says one must soak the dal for nearly 3 -4 hours. On reading that he talks about Spilt moong dal and why should one soak for so long, I decided not to but in the end, I ended up leaving it soaking for that long. Anyway I feel you need not soak for that long and if you still feel the split moong dal taste, you can roast it in ghee before using it. I was under the impression that one calls it phirni only when rice is used, maybe I am wrong and would love to know how else this is called. 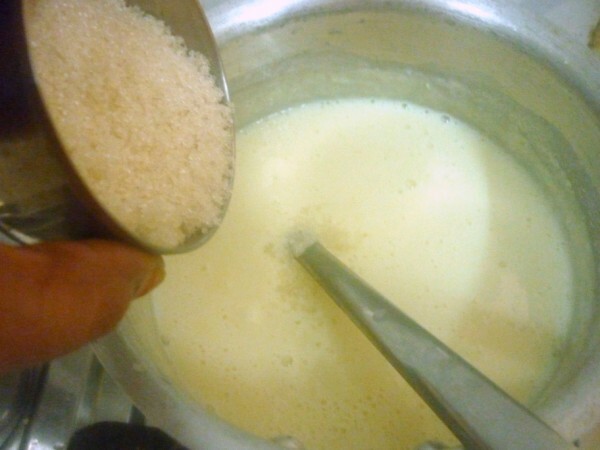 This recipe calls only milk and dal, no rice added at all. he calls it Dal phirni. 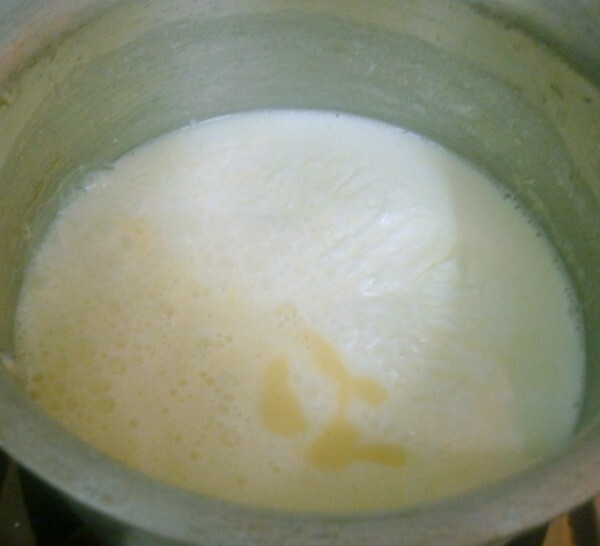 Maybe because after making it, the texture ends up being like Rice Phirni is. Anyway it tasted great and that’s what matters right. 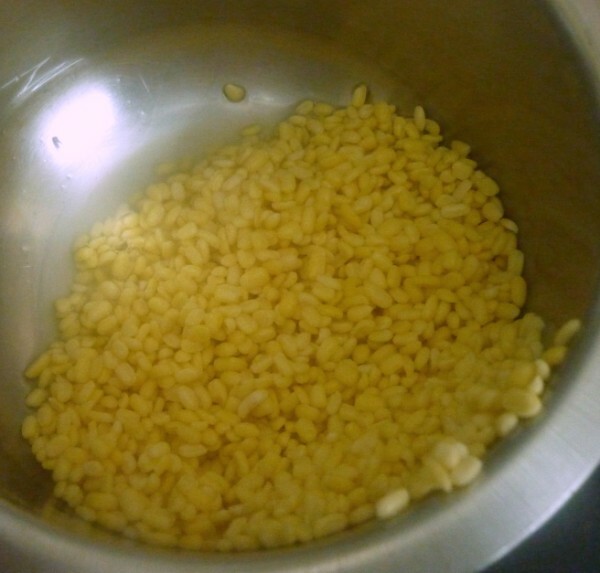 Wash and soak the moong dal in water for 3-4 hours, then drain and grind to a smooth paste. 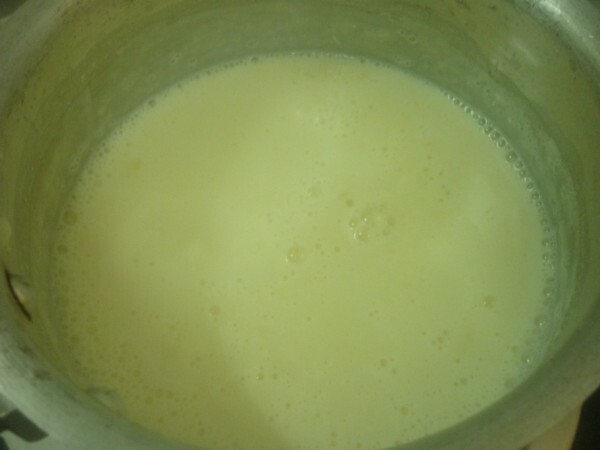 Heat milk in a non stick pan/ thick bottom pan and bring it to a boil. Add ground dhuli moong dal and whisk well. Simmer and cook on a low heat till the mixture thickens. Add sugar and mix well. Cook the mixture, stirring continuously. Add saffron and mix well. Cook for 15 minutes, stirring continuously, till the dal gets cooked. 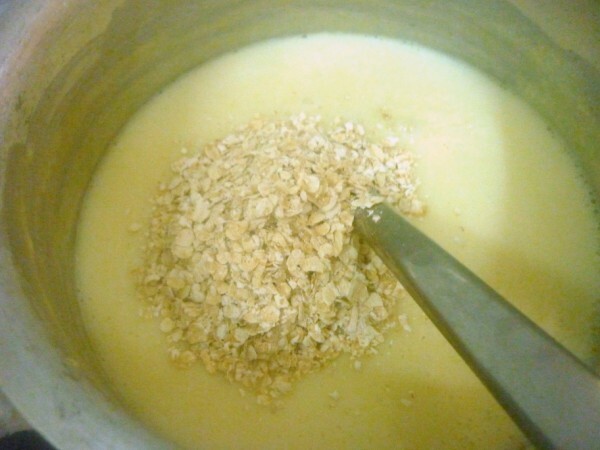 Add oats and mix well. Cook for 2-3 minutes stirring continuously. 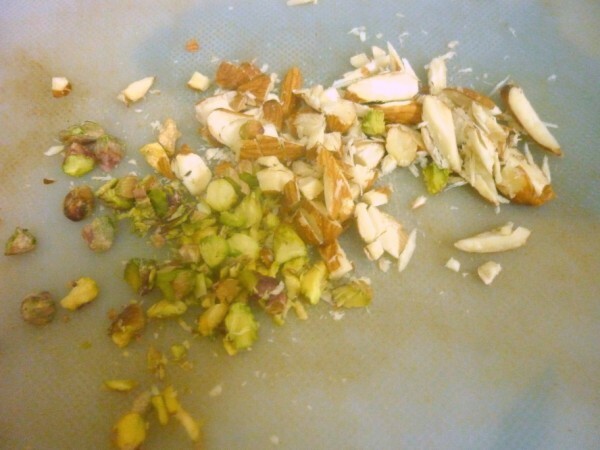 Finally add the finely chopped nuts, cook for couple of minutes. Then switch off and transfer into a serving bowl. Garnish with pista and almond, cool and serve. If you don’t cook the moong dal for a while, you might feel the raw taste when drinking the payasam. 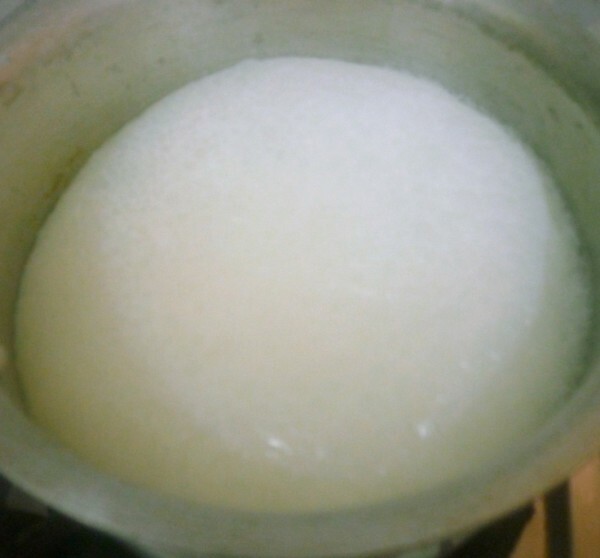 It becomes a thick porridge like, so it tastes good when served chilled. Else microwave again and serve hot. This is really interesting, I mean I have tried various phirnis, but always used rice, never ever thought of using. Daal, not very sure if the family will like but will try with a small serving. Looks yummy besides being healthy because of oats and moving. 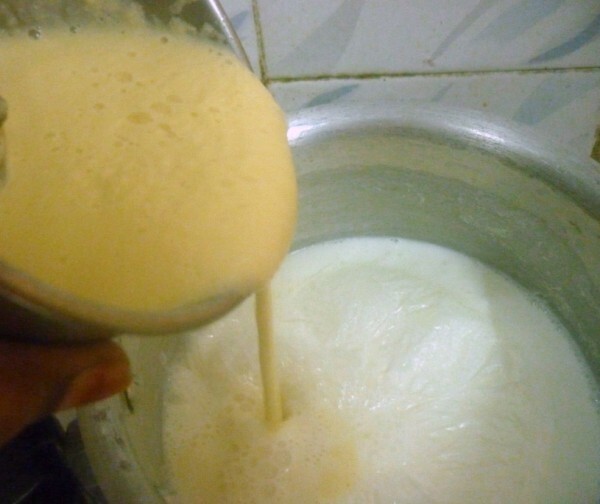 That's a very healthy way of making the traditional phirni, Valli. wow looks so rich and so creamy!!! 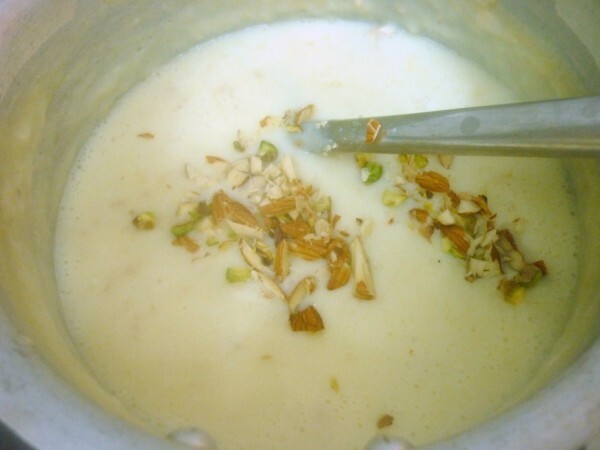 very different from our regular payasam yet very tasty!! 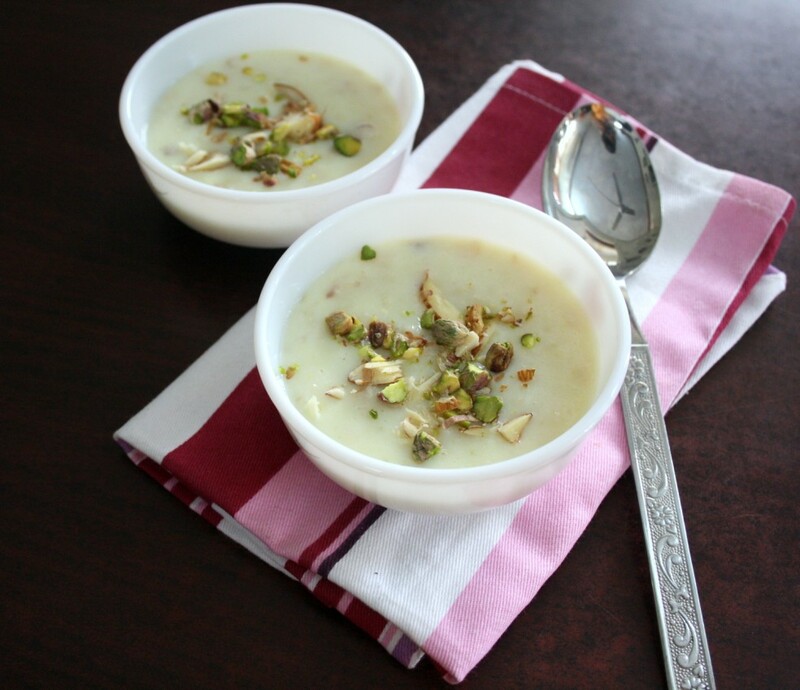 Never thought of making phirni with oats, looks super delightful,excellent and droolworthy. I guess it is the talent of u guys that makes u try such wonderful stuff. I can never imagine mixing dal and oats in a sweet dish. Hats off. healthy and tasty bowl there, Valli ! Yup, Sanjeev Kapoor started us all on watching Cookery shows, didnt he ? Good and healthy combination. Haven't tried dal with milk for payasam. I love to see how people react differently to a situation — it's actually quite amazing & fascinating. Did the original recipe use Oats or was it your addition? 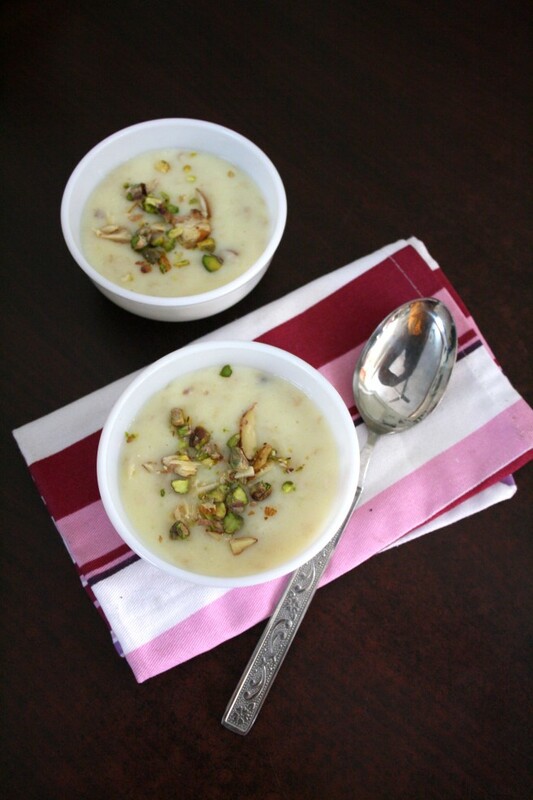 I'm wondering since it recipe uses oats instead of rice, it's called phirni?? I have never watched Sanjeev Kapoor's show until recently in youtube, nor I have any of his cookbooks (shocked :D?). Pavani, Yes the original book has Oats in it. 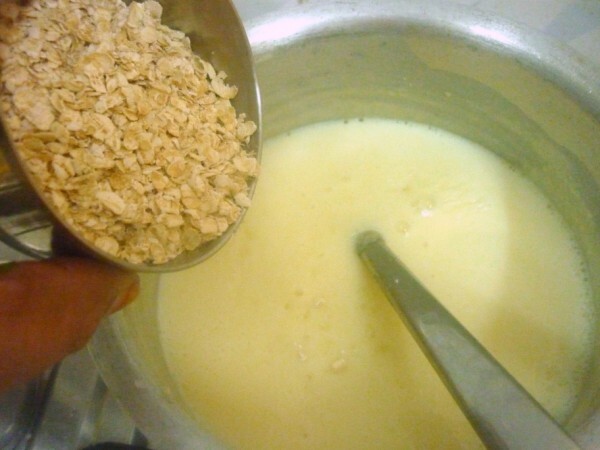 That was one of the reasons why I choose Oats, because there was nothing common with all these authors, or at least as main ingredient..:) This recipe has gone through minimum changes from my side. 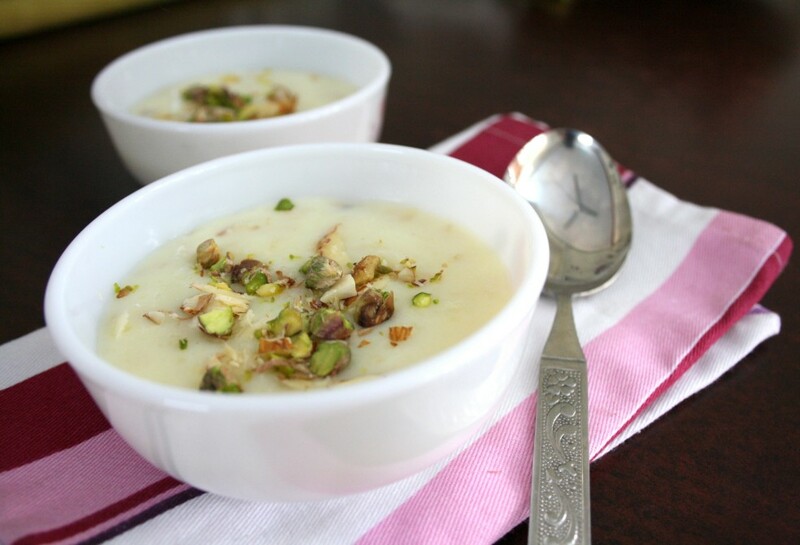 Lovely kheer! Interesting combo of moong dal and oats. Very different recipe! Like priya said, it would work as a breakfast option as well. Oats are so versatile. I love the way you have made this & I am sure it tasted great. I am going to bookmark this & make it soon.